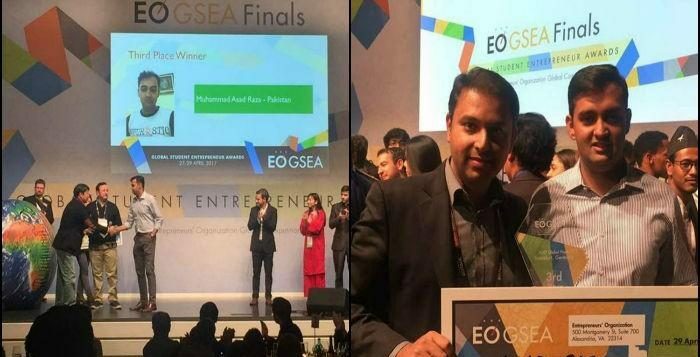 Muhammad Asad Raza, a student of National University of Science and Technology (NUST), bagged the third position at the Global Student Entrepreneur Award (GSEA) 2017 in Frankfurt, Germany. Students from more than 57 countries participated in the competition, which was held from April 27 to April 29 at the Congress Center Messe Frankfurt. 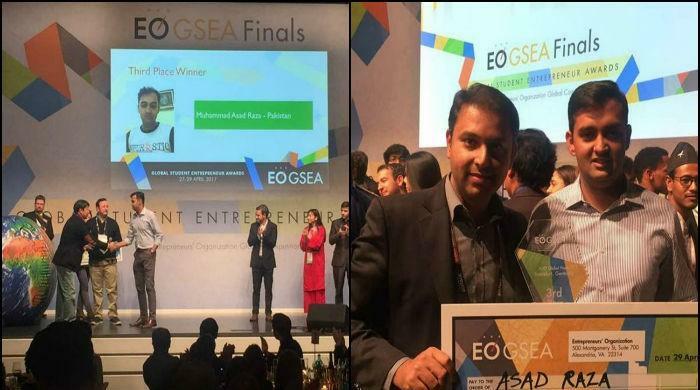 After winning GSEA Pakistan 2017, Raza won the EO GSEA global semi-final and made it to the top five, which comprised students from Mexico, Guatemala, El Salvador, Malaysia and Pakistan. Julian Rios Cantu of Mexico won the competition. Raza competed against other participants from Canada, South Africa, UK, Dominican Republic, Indonesia and Turkey. Event’s final ceremony was streamed online on April 29.